Last week’s SEMA Show is the crown jewel of the automotive aftermarket industry. The annual four-day event brings thousands of exhibitors and attendees from all over the world to the Las Vegas Convention Center. 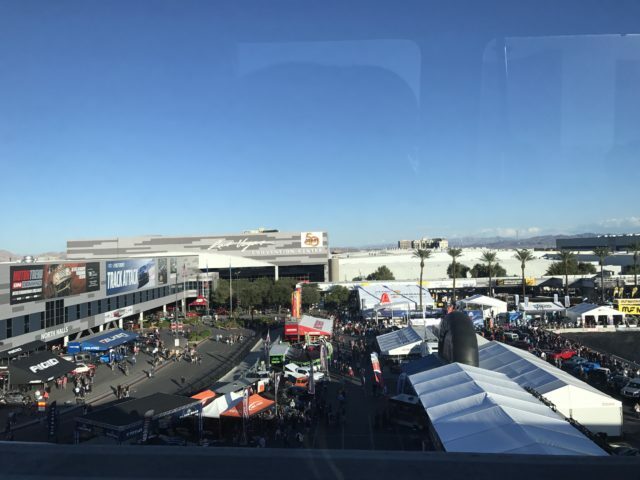 A view of the SEMA Show from the Las Vegas Monorail. From the moment the show opens its doors, there is a constant flow of people making their way through the halls and adjacent parking lots. Many stop to take photos of unique custom vehicles, or to check out the latest products. Most attendees walk the show with bags full of free swag they pick up. Everything from posters and t-shirts to pens and decals. The event is a vehicle for exhibitors to introduce new products and announce partnerships. They drive traffic to their booths with celebrity signings and contests or giveaways. The first three days are trade only, and are not open to the public until the last day. However, the grounds surrounding the convention center can be accessed by anyone, so many exhibitors have a second presence outside. I spent a day at the AAPEX show at the Sands Convention Center. Regarded as the “boring” show, AAPEX is less glitz and glamour, but it’s where business gets done. I was fortunate to have a handful of good meetings, and I capped off my day by attending the Women in Auto Care awards. 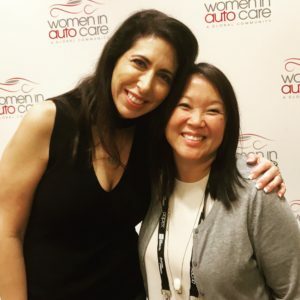 My friend Lauren Fix won several awards at the Women in Auto Care awards. In a predominately male industry, it is great that there is an organization that supports women at all levels within the market. With a strong scholarship program, many members become leaders and mentors to generations who will continue the work of women in the industry. I also was able to catch up with a friend and industry colleague Lauren Fix aka The Car Coach. I’ve blogged about the importance of networking before. 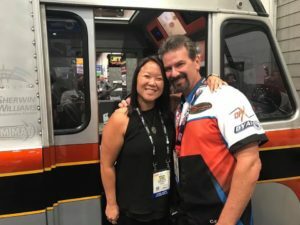 SEMA is a once-a-year opportunity to maintain already established connections and make new ones. Everywhere you turn, you are literally surrounded by the best in the industry. Thought leaders, influencers, inventors, owners, marketers and media. There are many official networking events, but the best moments usually happen by chance, and sometimes even in passing. A quick “Hi, how’s it going?” and then you’re off to the next meeting or booth. I left this year’s SEMA/AAPEX Shows with over 70,000 steps logged and 31.46 miles. 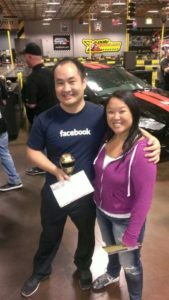 Unfortunately I didn’t get to connect with everyone on my list, but I did have a SEMA first. I did not take one photo of a car, truck or anything on wheels this year. Yes I was at the biggest car show of the year, but this time was about seeing people and taking it all in. A stop at the Centerforce booth in Central Hall to see my buddy Will Baty is a must! Inspiration is the most gratifying when you experience it unexpectedly. It’s that cliche “a-ha” moment when everything just clicks and you see things from a whole new perspective. At some point in your career you’ve experienced the professional rut. The creativity comes to a stand still, and your zeal for more has waned. So where do you turn for inspiration to move you forward? Earlier this summer I found myself at a professional crossroads. I came to my company a little over a year ago to launch a new brand in the American automotive aftermarket. This summer, the powers-that-be decided to pursue private label instead of a branded product launch. The caveat is that private products don’t need marketing support from the manufacturer. I have been pushed into a sales role which isn’t what I want to do professionally, and it is not what I know I’m good at. I know, we all do things in life that we don’t necessarily “want to do.” Fortunately, my company values me as an employee. Texas is an “At Will” employment state, so I could have easily been shown the door when the product focus changed. With the wheels of progress turning slowly, I was feeling stuck in career limbo and lacking purpose. I’ll admit that I have been drowning in a sea of uncertainty until a few weeks ago. I was difficult for me to draw any inspiration. I had no drive making me want to do better than what was expected of me. My latest dose of inspiration came as a moment of clarity. A few weeks ago it dawned on me that my dream job isn’t going to magically fall into my lap. Instead of waiting for something to happen, I need to be proactive. That means making the best of my current situation while keeping my eyes and ears open for new opportunities. Sitting at my desk, I took a look at a list of prospects I was working on. I was approaching it all wrong and trying to connect with the wrong people. That realization gave me a new found purpose. With some investigative work on LinkedIn and Google, I scheduled six meetings in a matter of a few days. As a result, I’m feeling inspired. Everyone has their own ways of dealing with obstacles in their path. 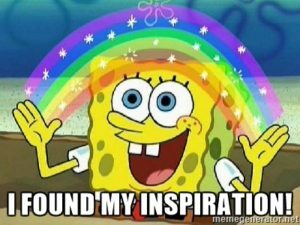 How do you overcome them, and where do you find your inspiration? Are Marketing Conferences Really Valuable? Marketing conferences come in all shapes and sizes, and take place in great locations like San Diego, Las Vegas and Chicago. All of them offer you the same benefits more or less. You can network with other digitally like minded people. Rub elbows with “influencers”. Hear success stories from brands you’d either like to work for or model your brand after. Don’t go to a marketing conference thinking that you can stick to any resemblance of a diet. If you’re not sitting and listening, you’re eating and drinking. The last conference I attended I actually packed some workout clothes. I ended up doing 30 minute tabata programs in my room each morning. My sad attempt to maintain some sort of balance. 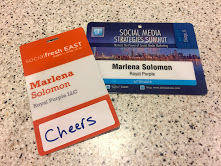 One of my favorite conferences was Social Fresh East in Tampa, FL. Each attendee was assigned a group on the name tag when they arrived. This was the group that would collectively work on a social media marketing project for a local non-profit. The exercise was a great opportunity for networking and hands on collaboration with an end goal. After submitting pitches on deadline, the non-profit selected a winner. One of the largest marketing conferences I have ever attended is the Adobe Summit. You can’t really go wrong having an event in Vegas at the end of March. Adobe boasted it was the largest Summit with 10,000 attendees from all over the globe. Like all conferences, there are good and not-so-good presenters. All of the presenters at the Summit are Adobe clients which makes sense, because who better to champion the vast suite that you offer? The whole event is a high tech produced opportunity to introduce new Adobe products. While the key note speakers had star quality (Abby Womback and George Clooney), neither addressed how digital or social was important (or not) in their careers. My colleague told me before I registered that I wouldn’t learn anything new at the conference from a digital marketing perspective. But if I wanted to experience a good party with networking opportunities it was the place to be. He wasn’t wrong. But the planning and execution of feeding 10,000 in a Vegas parking lot was truly impressive. I’m not saying that marketing conferences aren’t worthwhile, because they are. 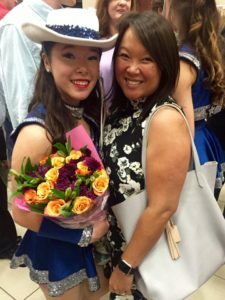 I believe that five and a half years in, the way I gain value from them has changed. I select the sessions I attend (if that is an option) because I’m hoping to gain insight into a topic based on the title of the session. Then I attempt to answer these two questions in each one. What are the top three takeaways from each session? Can I relate those points to my work or my brand? 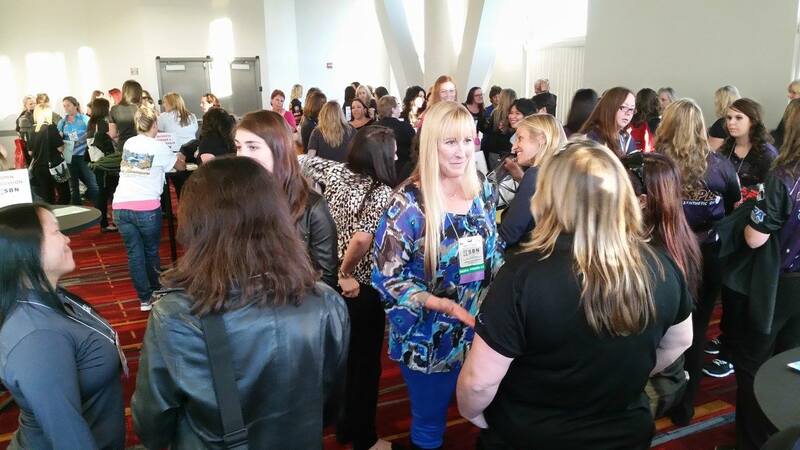 Do you go marketing conferences or any industry event to expand your network or absorb all you can? Is there a happy medium between both? I always thought blogging was simply writing out your thoughts, and posting it online. Then a few months ago, I decided to take the advice of my friend Dennis Yu of Blitzmetrics, and start the process of branding myself. Following the steps outlined in the “Personal Branding Guide,” I set up everything that was suggested. After you determine your goals for personal branding, you get the recommended “plumbing” in place. Then the third item on the checklist is to “Create blogs regularly posting across all social media channels”. I’m an English major, I should be able to write, right? Not so fast. I find blogging to be a longer than 20 minutes a day process. In the whole four posts I’ve written to date, at least two completely changed focus direction the further I got into the post. One step is to add the Yoast plugin to my website. Yoast and I have a tenuous relationship at best when it comes to blogging. I often find myself struggling to make sure all of the Yoast bases are covered. 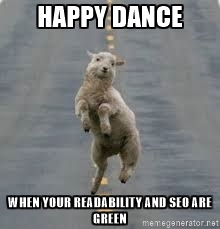 In turn, you become obsessed with the color of the Readability and SEO which are ideally supposed to be green. I’ve determined a process to blogging that might not work for everyone, but works for me. Begin – Start with your initial topic. If you go off track in the writing process, and end up focusing on something else. Add the topic back to your list. You had it on there for a reason. Write – Collapse the “Publish” section while writing so the words and ideas can just flow. Review – Where do I stand from the Yoast perspective? Clean up – Take out unnecessary words and make suggested changes until the Readability and SEO are green. Una Vez Mas – I re-read the post and often times move content around so it flows better. Let the Happy Dance commence! Why does networking matter? Have you ever thought why you build your professional network? 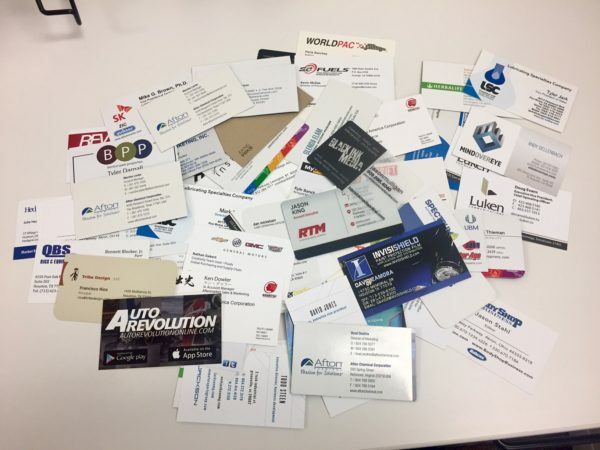 When you meet someone at an industry event or conference, what do you do with the card you exchanged? Do you add it to the stack in your desk drawer, or do you immediately invite them to connect on LinkedIn and follow them on Twitter? Networking helps build new relationships and maintain established ones. Regardless of how you met, the practice of active networking offers you a valuable opportunity to forge new relationships and maintain established ones. I acknowledge that networking doesn’t come easily or naturally to every one. Some struggle with random introductions and are more comfortable as observers, while others seem to maneuver a room with ease. No need to conquer the world in one swoop. Start with the people you work with, or the companies you deal with on a regular basis. Why do you need connections? Why are connections important? These are contacts that you may need in the future for a variety of reasons. Perhaps you are looking for an introduction at another company. Maybe you would like an opinion about a project, or you are seeking a vendor recommendation. Your professional network doesn’t expect you to friend you on Facebook, but they do want to be considered if there’s a way they can earn your business. You can maintain your relationship with your contacts in a variety of ways. It might be a simple gesture like commenting or sharing a person’s post on social media. I believe that when possible, it’s important to have “face time” with people in your network. I make a conscious effort to attend a couple industry events a year to re-connect with people. This might be an industry specific event or a social media/digital marketing conference. This summer I attended an automotive aftermarket industry event in Austin. 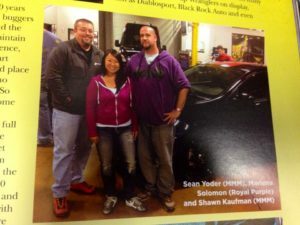 While there, I was asked to say a few words to members of the SEMA Young Executives Network. I shared with them that networking is one of the most important career skills I’ve learned. Industry contacts are important, but so are out of market contacts. Don’t discount local chamber of commerce and other local, regional or online networking groups. Apparently some people can’t differentiate between personal and professional content. My primary platform for maintaining those networking connections is LinkedIn, I also have a profile on brandedme.com. There has been some debate about where the line is drawn between what could be seen as personal posts vs. professional on LinkedIn. I suppose that’s why I’m a bit selective about who I accept to connect to. I’ve even unconnected with people I did not want to be associated with professionally. We live in an age where tenure at one employer is less common. People change jobs and industries for a variety of reasons, so regardless of what industry you are in now, don’t underestimate the importance of networking. You never know when you might need that connection down the road. As social media managers, we are proud of our platforms. Our engagement and interaction with our fans are on point. Our social media reporting reflects that the needle is moving. But when is the last time you had someone else critique your social media? It is almost impossible for us to step outside of our social space because we are so immersed in creating content and getting engagement. The exercise of outside social media criticism is not to tell you what you’re doing wrong, but to give you perspective about how it could be improved. I started the brand Facebook page when there were only profiles and no pages for businesses. There were many hours spent educating myself on best practices for brands in the social media space. I signed up for numerous online webinars, joined a peer group for brands on social, and went to at least one social media conference a year. For me, webinars lost their value. When they are sponsored, they become so pitch heavy, I start to lose interest in what the topic was which is why I signed up in the first place. Social media conferences allow me to learn about new trends and technology. They also reinforce that what I am doing with my brand’s presence is on track. Looking back, I got the most benefit from the executive peer group I was a part of through the Global Strategic Management Institute. The group was comprised of representatives from non-profits, insurance, collegiate sports, and retail. 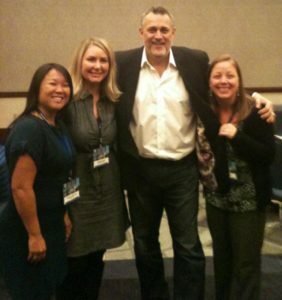 Ladies of the GSMI executive group and Jeffrey Hayzlett in Boston. For several weeks we were paired with different members of the group who would constructively review our social media platforms. It was great insight to have a peer look at what you are doing from another perspective and then give input. Each review was shared between you and your counterpart via email or phone call where you could discuss points of your review. For many of us, social media is only one of the hats we wear when it comes to our job responsibilities. As social media managers we commonly work seven days a week. We check our social spaces multiple times throughout the day. We worry if our targeted posts are performing. Can justify our social media marketing budget? We watch our competitors and are constantly thinking of new ways to engage on a variety of platforms. With so many parts moving at one time, no one is perfect. Even the best planned social media strategy cannot prepare you for someone hacking your account or a unhappy person who wants to rant on your page on the weekend or the wee hours of the night. If you consider having your social media critiqued, ask someone who is out of your department. Go even further by asking someone out of your industry to critically review your social media. I recommend the exercise should be done quarterly at minimum. The landscape of social media trends changes often, so annual reviews may not be timely enough. Do it with an open mind with the expectation that you may get questioned. The point is not to attack the work you’re doing or your ego, but to ask “Why?” because you may not have taken to time to look outside of your objective. Who is the audience for each platform? Is the tone, messaging and branding consistent across platforms? Are you following the right influencers or companies in your industry? With respect to your interviewer’s time, you can simplify the process by setting specific dates for the review. Then provide a categorized spreadsheet where he or she can simply add input and send it back when complete. Don’t forget to leave room for comments! I have two “social sensei” I like to rely on for commentary and input. One is in the industry so he knows the nuances of the enthusiast in the market. The other is not, so he can provide “outside looking in” insight. Make a short list of people who would be willing to give you some good feedback and then go ask them! Dennis Yu is my social media spirit animal. Does Advertising on Social Media Work? Social media advertising was an unknown frontier when platforms first started to sell space. Where were consumers most likely to take action? Are ads more effective in a column, or tucked in a news feed? Needless to say, the news feed ads won. Social advertising has expanded beyond text and static images. Ads now contain short videos and GIFs, taking advantage of the few short moments to get a user’s attention. I have made at least two purchases based on social media advertising. These are both brands I had never heard of until a post caught my eye. My Cuyana classic leather tote. Based on my internet activity and searches, Cuyana figured out that I like purses. They got my attention with beautiful imagery that shows their products are simple and classic in style. When you visit their website, you find that their handbags are reasonably priced. I think their clothing is a little pricey, but I tend to pay more for a purse that I’ll use multiple times compared to an item I might wear a few times. I love everything about Quip. For one thing, I can’t think of many people who aren’t concerned about their dental health. Quip is appealing because it’s a simple design that is accented with some cool colors, but at the same time encourages you keep brushing for the full two minutes and provides a cover for when you are traveling with your Quip or a stand for you to keep your toothbrush from falling in the sink or on the bathroom floor. 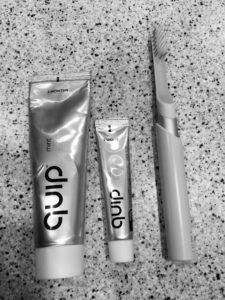 Quip electric toothbrush and cover/holder, regular and travel size toothpaste. Even more important to me about Quip is convenience. When you buy a package you can opt in to automatically be sent new heads every three months for a lot less than it would take to drive to the store and buy replacements. Quip’s website is easy to navigate and they have other active social platforms and a blog. From my experience they are pretty quick to acknowledge an email sent via their website or a tweet they are tagged in. My only gripe about sponsored ads on Instagram, is that even though I like a sponsored ad, it doesn’t show up in my “Liked” posts feed. So if I don’t take action right away, how am I supposed to go back and find it later? “Victim” or willing buyer, I am proof positive that social media advertising works, and I’m sure it won’t be the last time!